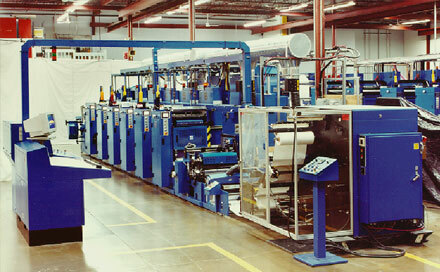 The LF litho/flexo combination press is available in configurations of up to 10 standard printing units with traditional finishing stations for punching, perforating, rewinding, sheeting and folding. Designed for the label and folding carton market, this press has interchangeable web offset and flexo printing inserts – with tool-less changeover in minutes. Print Repeat: 14” to 28” circ.